I have mentioned before that pancakes have become a weekend routine in our house. Well, this past weekend my daughter wanted something “special” as she put it for breakfast. So we decided to have the works… bacon, eggs, pancakes, etc. While I was cooking the bacon I decided that hey this is an easy blog post. So I snapped a few pictures and today I wanted to share with you how to cook bacon in an oven. The easiest mess free way that everyone should be using in my opinion. Let’s not kid ourselves, though, the oven doesn’t make it any healthier but it does make it a lot less messy and super quick to clean up. Plus the taste is the exact same so why not right? Cooking bacon in a skillet on the stovetop is like just asking for a greasy mess, much like cooking hamburgers too. Then you have to stand around waiting to flip, flip, flip so that it can get crispy and done. 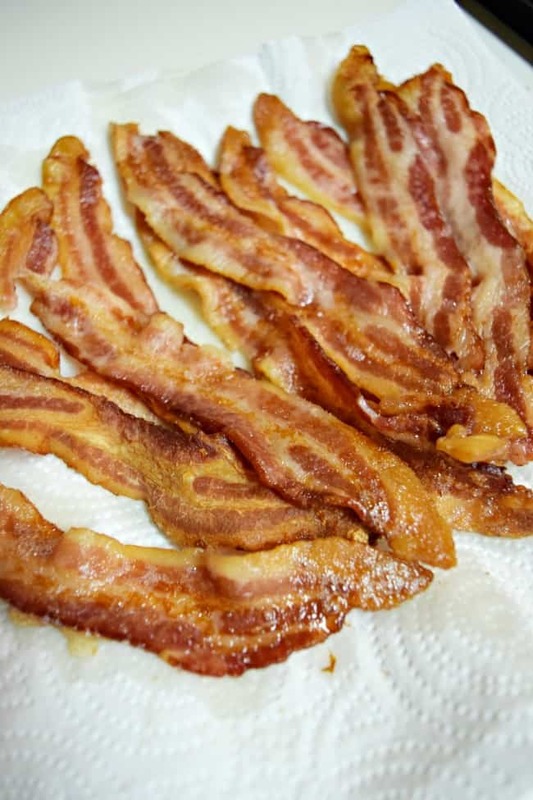 There are a few ways you can cook bacon in the oven but this is how I specifically do it and I will mention a couple other methods at the end. Bacon <— kind of hard to cook bacon without the bacon! Preheat oven to 400 degrees! 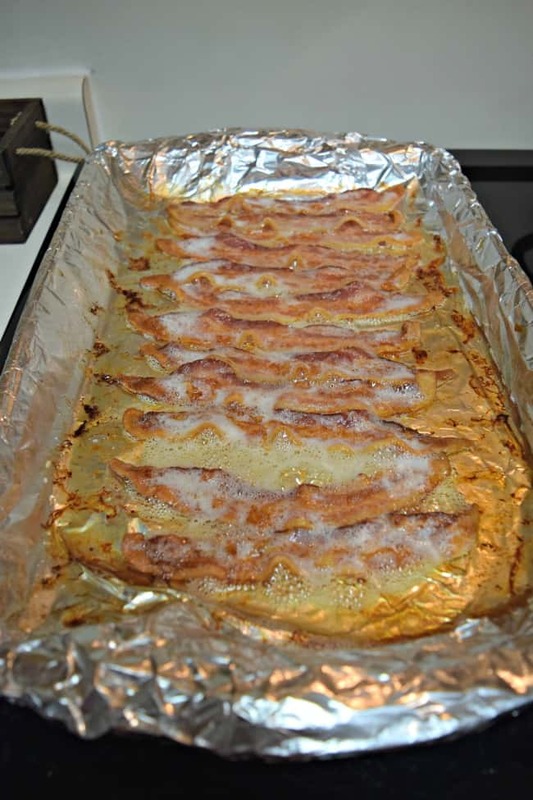 Start off by lining your cookie sheet with some aluminum foil. This is what keeps the cleanup quick and easy. 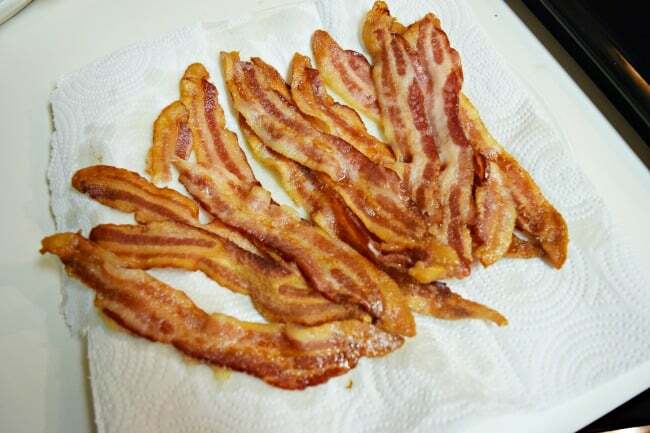 Lay out your bacon. It is okay if they overlap. I usually stack mine flipped where the smaller side of the bacon is next to one big side and so forth. If you are cooking for a whole crowd you can use two cookie sheets. You will just need to rotate your cookie sheets halfway through cook time so that you can get even results. Pop in the oven for approximately 20 minutes for a medium crispiness. I like mine not too crispy but not limp either. If you like them crispy, crispy go with closer to 30 minutes and if you like them a little less crisp start checking around the 10-15 minute mark. Once they are done to your liking pull and place on a paper towel-lined plate. This will soak up any extra grease. Note: Ovens can cook at all different temps so just be sure to watch your bacon whether you like it less crispy or more crispy. Bacon can go from yummy to yucky real quick. No one wants to be eating burnt bacon. Enjoy… Because I know you will. 3 more easy how to cook bacon in an oven methods! Using parchment paper! 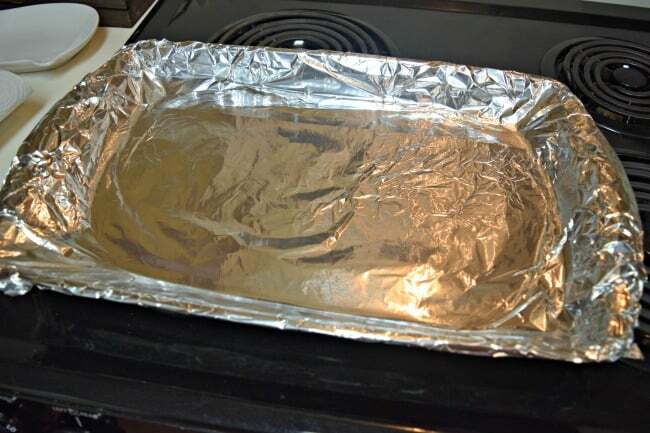 – You can line your cookie sheets with parchment paper instead of aluminum foil. 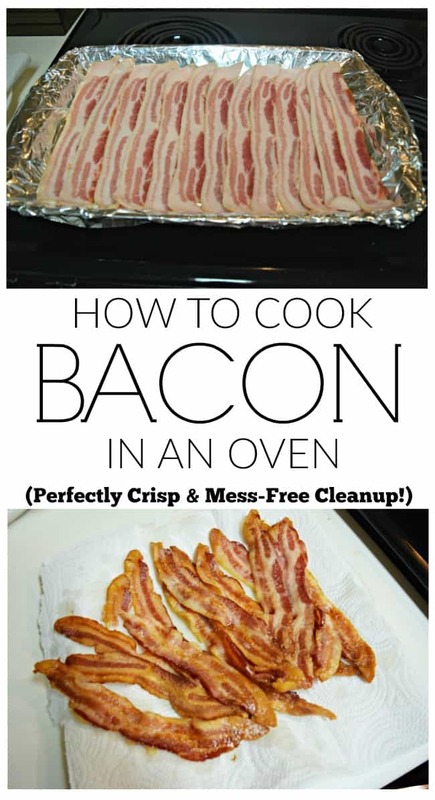 I have never used this method but I have heard it helps with getting the bacon crispy. The cleanup is still relatively mess free although not quite as easy as the foil. Just make sure you cleanup right away and don’t allow the parchment to sit. The grease will soak through the longer it sits on the paper. Using a cooling rack! 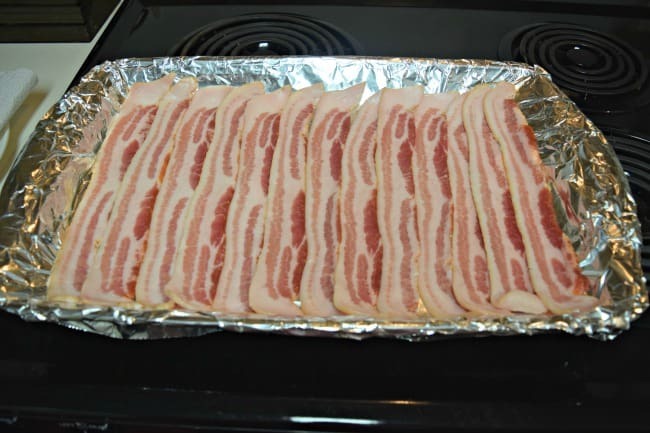 – Another way to get crispy bacon is by placing a cooking rack on top of the aluminum foil. You will have to clean up the rack but still pretty manageable cleanup. Directly on the pan! – The messiest solution of all but still better than the stove top. I would recommend one of the other methods though. If you enjoy this How to cook bacon in an oven post you also might like these!